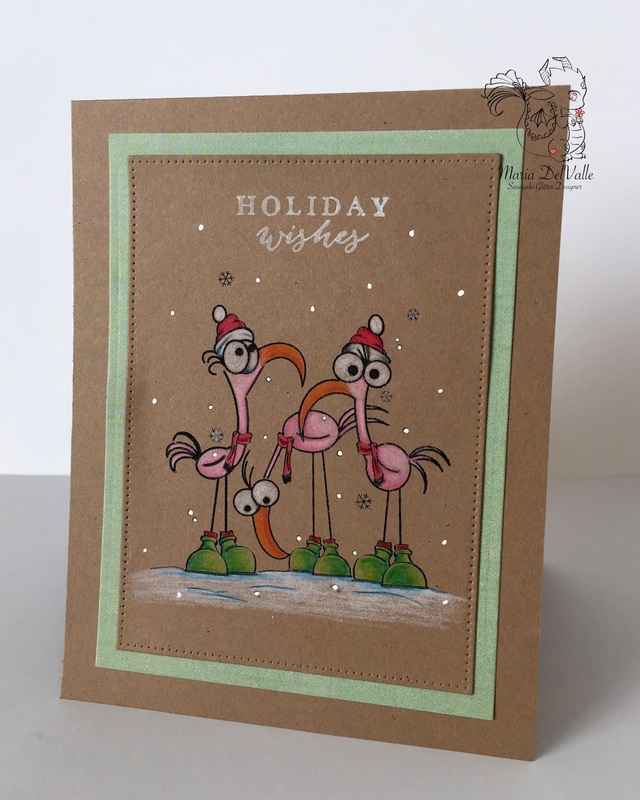 \Its time for the holidays and this card is just in time for the season! I couldn't resist trying kraft paper again. This time I used a better quality cardstock by one of my favorite brands: Neenah! I used a middonte color and loved the smoothness! I used my Prismacolor pencils just to try something different. I hope you like my card! I really like using pencils but am not the best at it. My specialty is Copic Markers but like I said, I do love Pencils too. Especially coloring on kraft paper! I hope you to see you stop by Sasayaki Glitter stamps and see all the inspiration there!